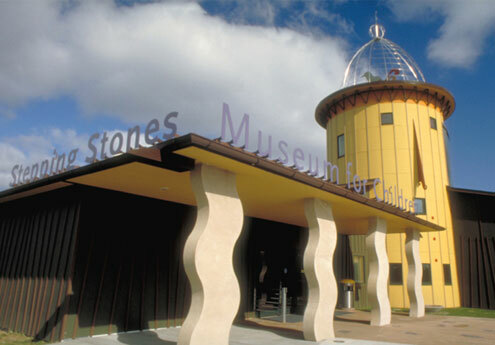 Stepping Stones Museum for Children « Jeff Kennedy Associates, Inc. 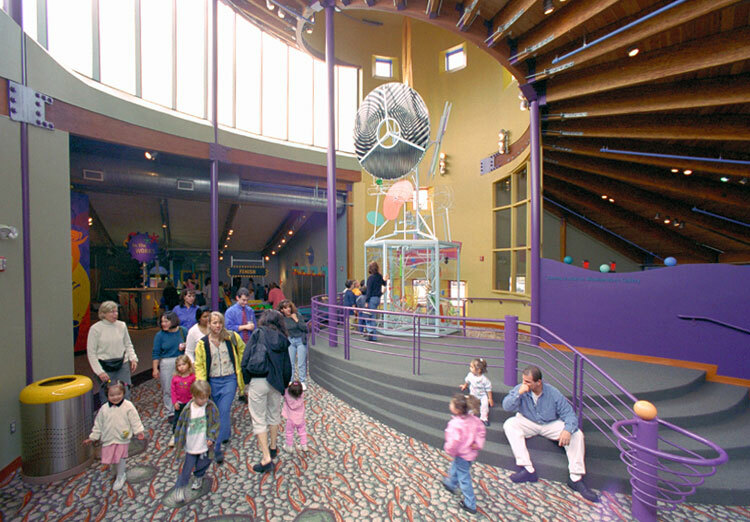 Stepping Stones Museum for Children, named one of the country’s 50 Best Children’s Museums by Parent & Child Magazine, opened in 2000 with 10,000 square feet of exhibits and programs we planned and designed to reflect the museum’s interest in finding innovative ways to anchor children’s activities in real-world experiences resonant with their community, state and region. We worked in close collaboration with the museum’s staff and advisers and with Centerbrook Architects to develop the museum’s original family-friendly thematic zones for children up to the age of 10, and its Early Learner gallery for infants and toddlers. 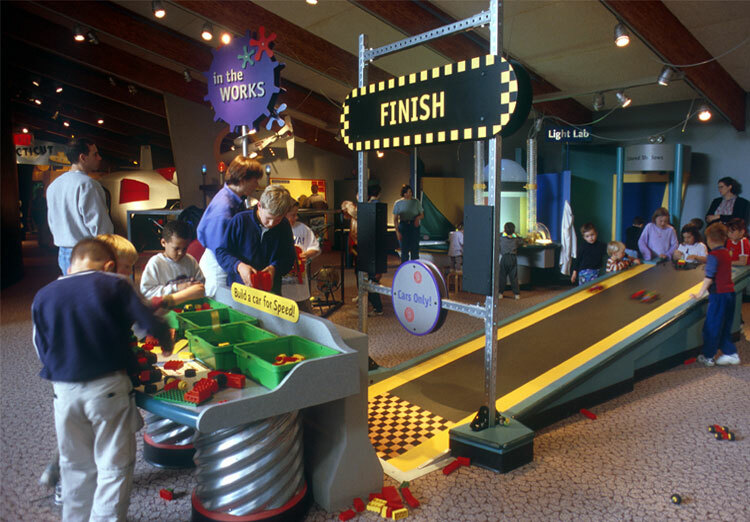 The ColorCoaster, conceived as a major attraction for the museum’s ‘hub’ area and as the springboard for open-ended play and exploration in the adjacent In the Works gallery, is a commissioned interactive sculpture by the late artist/inventor George Rhoads. 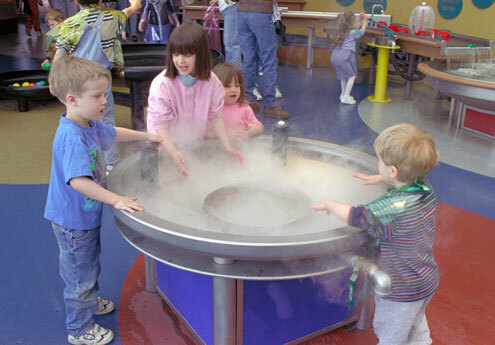 Waterscape is an innovative take on a classic children’s museum activity area: the room itself transforms through a visitor-triggered cycle of rain, fog and mist, offering children a chance to experience water in all its forms. Rain cascades from an oversized umbrella to fill buckets that feed streams and pools. 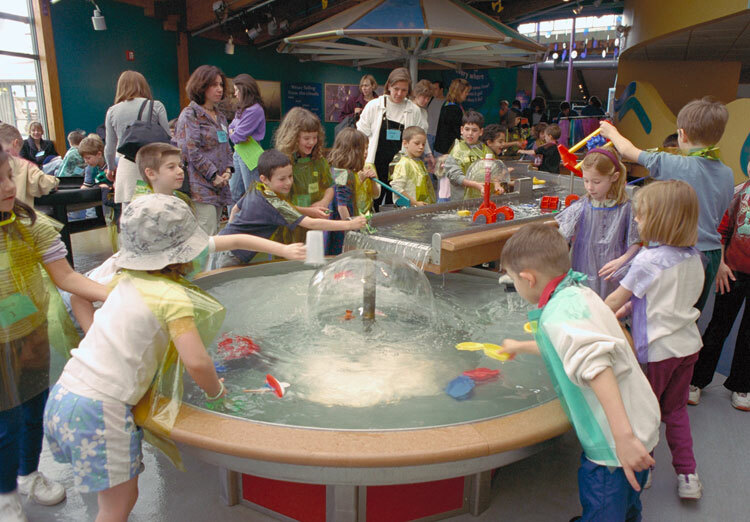 Kids work alone and collaboratively, experimenting with the properties of water. This gallery has proved to be a favorite with all age groups. 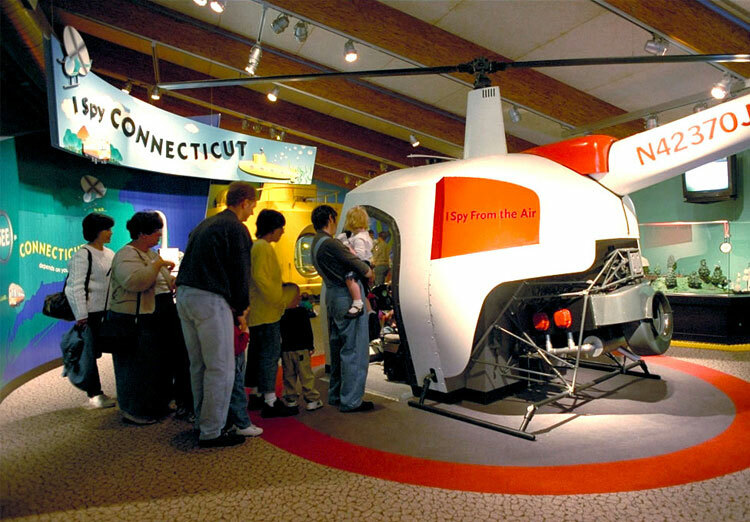 I Spy Connecticut offers playful perspectives on the museum’s home state as seen from the air, sea and land. 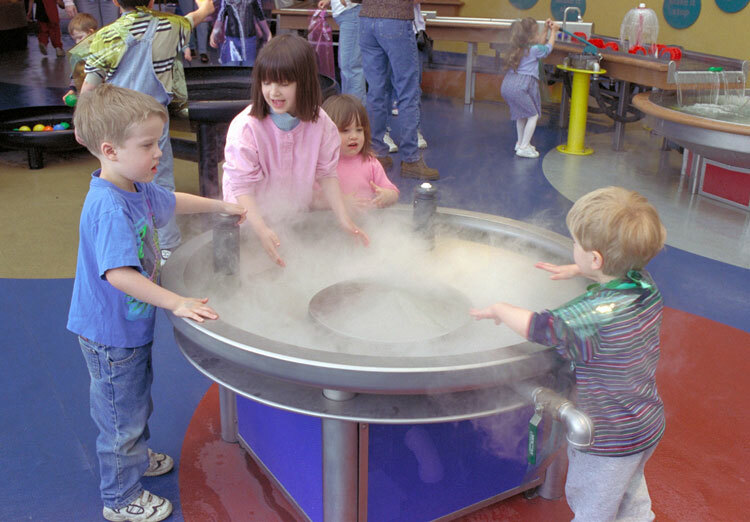 Large scale replicas of a helicopter, a research submarine and a commuter train provide immersive settings for dramatic play. In the Works celebrates creativity and ingenuity. This racetrack and car-building activity, its signature experience, encourages long dwell times through open-ended experimentation. Toddler Terrain, a cozy haven for exploration and play, is designed and sized especially for children 0-3. 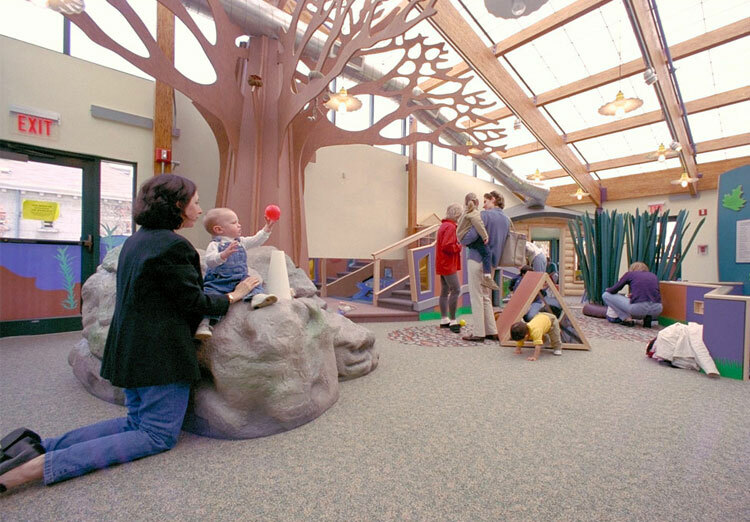 Infants have their own oasis out of harm’s way, and toddlers use the textured climbing/crawling trail to practice walking skills. The room’s playful soft sculptures, unexpected nooks and art activities all are designed to support skill development, independence and cooperation.